The Flynn’s Beach resort is a tourist attraction in itself! My husband, Rob, has rostered annual leave and our eldest daughter, Isabelle is starting school this year. Not knowing when their holidays will again coincide, we decided to make this summer holidays extra special. And Flynn’s Beach (Port Macquarie) has been the perfect destination! The Flynn’s Beach resort is a tourist attraction in itself! We loved our well-appointed apartment and of course, the pool. There was not a day we did not take a swim in the pool; swimming in its warm waters was the perfect way to end a wonderful day. Our favourite dinner spot was the resort’s BBQ area. Whilst Dad was cooking our dinner, the kids were able to play in the playground, and I got to read a book! Our trip coincided with the Australia Day public holiday and we were nicely surprised by the festivities in the town centre. The numerous tourist attractions kept us busy and the beaches were magnificent. It was the perfect balance of fun and relaxation. Our Port Macquarie holiday has been quite a memorable one! We can’t wait to go back! The 15hr drive from Melbourne will not deter us from coming back year after year, to this wonderful destination. But the dilemma is, Port Macquarie again, or discover the other Wyndham resorts we have yet to see? 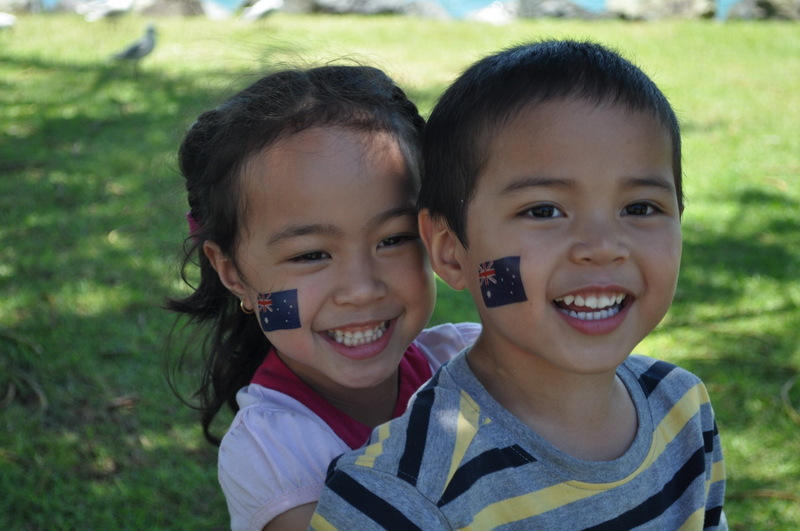 Photo: Isabelle, 5 & Daniel, 3 at the Australia Day festivities at the Town Green. This entry was posted in (NSW) Port Macquarie and tagged australia, Flynns Beach, holiday, new south wales, port macquarie, resort, vacation ownership, worldmark, Wyndham Resorts. Bookmark the permalink.